Although bed bugs have been around for nearly 3,500 years how we manage and control them is constantly evolving. Since their resurgence in the late 1990’s we have seen a large array of chemicals, treatment methods and monitoring devices come and go. On the other hand, some products are standing the test of time and proving their worth, becoming staples used by the country’s most respected pest management professionals in their remediative and preventive bed bug programs. 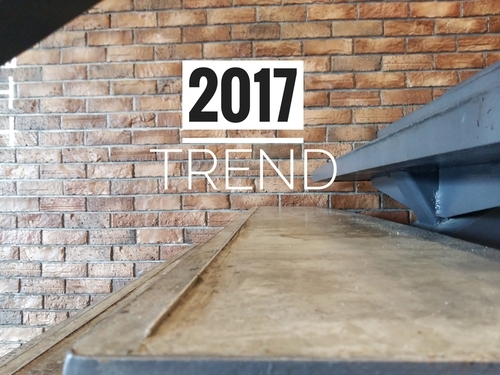 Let’s take a look at what’s hot now and trending for 2017 in the ‘treatment world of bed bugs’. Awareness & Education. While you might not equate ‘awareness and education’ to a bed bug trend you should know it is as popular and essential as ever! Did you know that according to Google’s Keyword Planning Tool ‘bed bugs’ is searched 550,000 times per month? In today’s informational age residents and consumers are more aware than ever about bed bugs. This means whether a consumer is looking to book a hotel, a parent is preparing to send their child off to school or a person is shopping for their next apartment in the city, they are assessing the latest bed bug outbreaks. Awareness across the country is at an all time high and is evident in the success of sites like BedBugRegistry.com which has over 20,000 bed bug reports since 2006. In addition, Trip Advisor is widely used hospitality-related site that reports on bed bug incidents in hotels, motels and resorts across the country. Education is proving to be a critical component to beat this insidious pest and therefore those in the hospitality industry, low-income housing, college and even pest professionals are embarking on costly awareness and education campaigns. These efforts are to ensure that those they serve and those they employ are well-educated and able to identify a bed bug problem at its earliest stages. Early Detection. If you work in the pest management industry you are well aware of how important early detection is when it comes to bed bugs. Once an infestation goes unnoticed for some time, it can create havoc for the homeowner, hotelier or landlord during the treatment process. Vigilance is essential to identifying a bed bug infestation in an early phase and therefore the use of detection devices like active and passive monitors continue to be popular. We will see this monitoring trend continue as well as frequent inspections by bed bug dogs and trained technicians. Prevention Plans. Bed bugs are excellent hitchhikers and can easily hop a ride into a room on a person or on their belongings, often without them ever knowing. While there is no home, hotel or facility that will be able to prevent bed bugs from entering, it is possible to stop a bed bug introduction from turning into a full-fledged infestation. Savvy hoteliers are putting prevention plans in place. These prevention plans have evolved from simply protecting the mattress and box spring to now protecting the guests from bites, often while sleeping. The latest weapon in prevention are active mattress liners. These liners have shown that after several minutes of exposure to the active liner bed bugs show reduction in feeding and are unable to lay eggs. This can stop a bed bug infestation in its tracks and prevent the room from becoming infested and guests from experiencing bites. Regardless of how bed bugs impact your business, make it your New Year’s resolution to incorporate these Bed Bugs Trends for 2017. Proactive protection about bed bugs is what’s trending now. And as Ben Franklin said, ‘An ounce of prevention is worth a pound of cure’!